The title of this work, which has been appearing for a couple of years in the columns of the Scottish Highlander under the heading of "Old Yet New," has been selected on the suggestion of some friends and well-wishers as more appropriate. 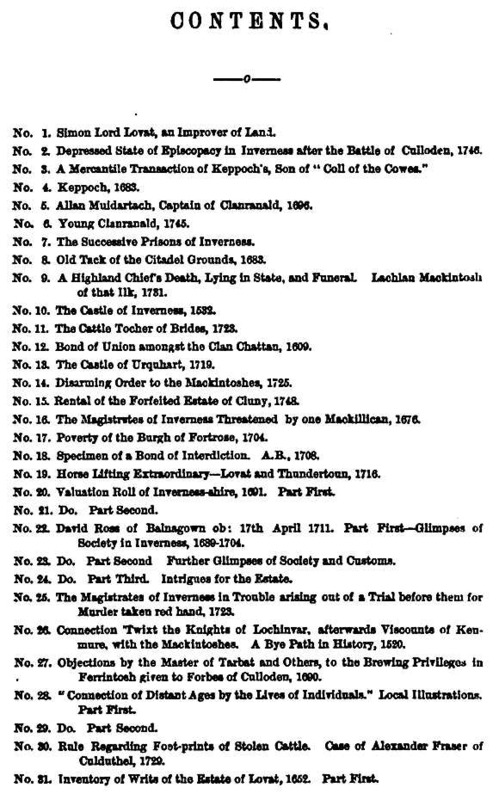 The idea of dealing with ancient history and story by Parishes is a sound one, and has been admirably carried out by Mr William Mackay in his elaborate and carefully worked out History of Urquhart and Glenmoriston. It might be held as overloading to deal with each Parish in the same comprehensive manner, while on the other hand one volume might be quite inadequate for a whole County. It certainly would for such a County as Inverness. 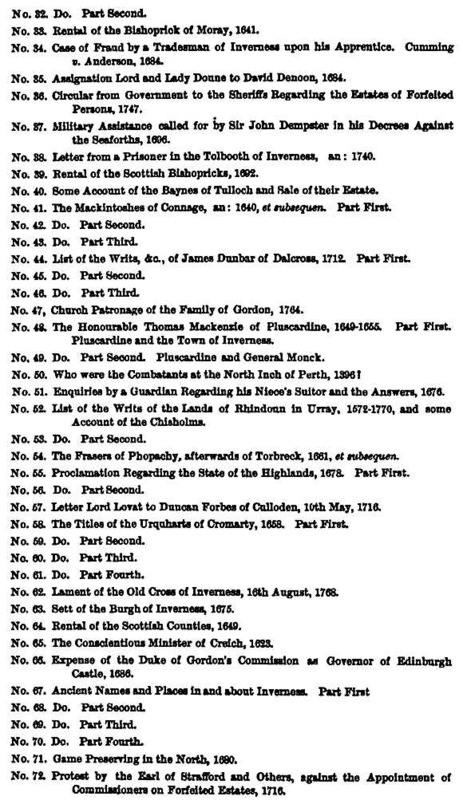 I have to thank several gentlemen for information and hints; Mr Alexander Mackenzie for the handsome way in which he has printed and issued the volume; as also his son, Mr Thomas Mackenzie, for preparing such a full and accurate index. Condition of the People, and other Grievances, in 1793, etc. 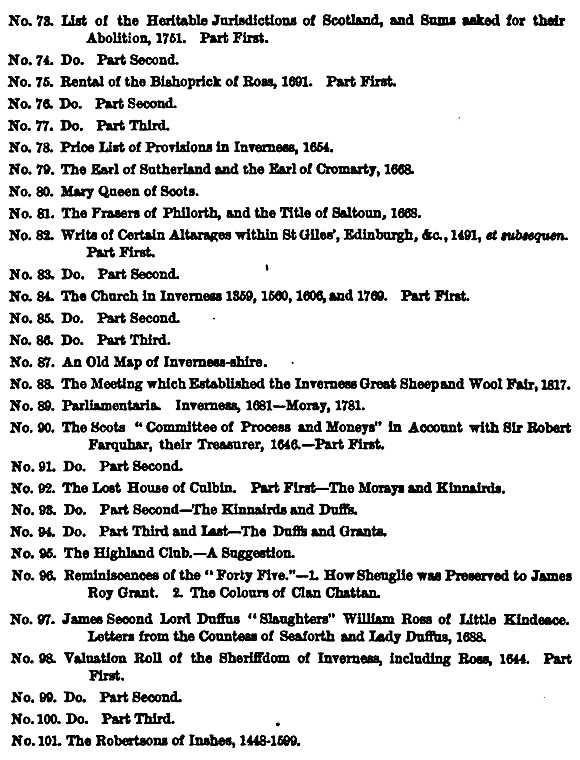 Glengarry's Piper, and the Canal Commissioners in 1807, etc. Traces of the Ossianic "Originals"
The Erection of Fort-George, etc.